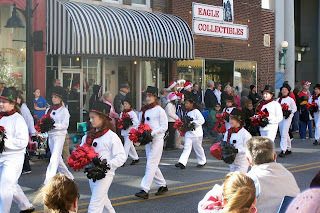 It was a pretty day in Belleville, Illinois as the Optimist Club held their annual Santa Parade and welcomed Santa Claus to his home away from home that he uses when he visits with children in the area. Santa has been staying at the Belleville Optimist Club Santa House for almost 50 years. 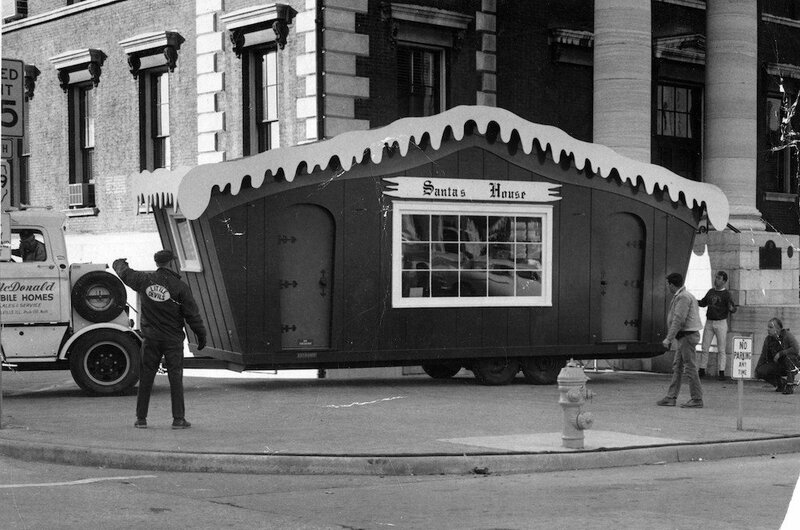 Lee Rhodes shared this picture of the house being placed in 1963. According to Charles Mayhew, the house was built that year by the Chamber of Commerce for $2,500. Click here to see the Belleville Optimist Club Santa House today. The Optimist Club took over the operation of the house in 1994 along with the coordination of the parade. Some of the special guests this year, along with the jolly old elf himself, were these adorable marching snowmen (ahem) ladies. I think you'll agree, there's nothing like a parade to get you in the spirit of the season. Happy Holidays are here. Baby, it's cold outside! It's a good thing this swimming pool is indoors and thanks to a $5,000 donation from the Southport Optimist Club in Port Elgin, Ontario, the children will learn to be safe and keep others safe through the Swim to Survive program. As part of their continuing support of the swim program in Port Elgin, the club also sponsored the 27th Annual Southport Optimist Short Course Swim Meet on November 19 -20. In the youth appreciation fashion promoted by Optimist Clubs, it was a fun meet, with each and every child receiving a medal, ribbon, prize and great memories. Thanks to Kevin Larson of the Breakers Swim Team for sharing the story. I'm checking in late this evening with my Music Sunday choice at Experience Optimism. It's been a long day after an extended weekend. Being with family and friends and wishing to be with those who have moved on can be stressful and emotional, happy and sad; and just as I do when I hear this song, I involuntarily get tears and smiles at the same time. "Feels like home to me" is a song by Chantal Kreviazuk. You may recognize it from the movie How to Lose a Guy in 10 Days where a journalist on assignment finds love and family or My Sister's Keeper where a young cancer patient's family relies on her sister to keep her alive until one day they both refuse. Sad stories. Happy endings. Just like life. It sure is a good thing that there is music to get us through and back to to the happy times. Who's ready for Monday? I am...bring it on. I'm grateful for Optimist Club members who inspire others and one of my inspirational favorites is Barry Knoblich of the Optimist Club of Twin Falls, Idaho. When I first met Barry, he told me about the Membership Mafia program that he organized many years ago to recruit new members into the club. It was based on the idea that they really wanted the people to whom they extended invitations to join the club because they liked them and could see them as part of the extended family that our Optimist Clubs become. To ensure their commitment, recruiters and friends would visit the prospective member at work and at home until they said yes. High pressure? Yes. Great fun? Emphatically. So it came as only a little surprise to me when last year the president of the club, Kayleigh Godfrey, recruited Barry to chair a membership drive, the first large scale effort in many years, and the club succeeded in adding 52 net new members to their roster. (net = members added - members deleted) The Twin Falls Optimist Club closed the 2010-2011 administrative year with 126 members and the new president, Richard Craddock, has set his goal for 30 net new members in 2011-2012. After such a great effort, keeping the momentum going is essential and one of the ways to do that is to always have a project taking place. The Twin Falls Optimist Club does just that; and with so many members, they can perform traditional, new and ongoing projects while having lots of fun at the same time. This month alone found the club holding three fundraisers, apple sales, a turkey shoot and an over-21 dance; Coats for Kids, an ongoing club program; Every 15 Minutes, a new substance abuse awareness program in coordination with police and schools; and the traditional Optimist International program for Youth Appreciation. "Youth Appreciation is the perfect opportunity for Optimists to make a difference in their community and demonstrate the Optimists’ commitment to young people. The Youth Appreciation projects are intended to make children feel important and highlight their positive contributions to society. Since 1956, this program has given Optimist Clubs the occasion to work with youth toward the common goals of education, career development, physical well-being and community service. A Club’s Youth Appreciation program can be more than an awards ceremony or a dinner for a few top students. It is designed to encourage a greater exchange of ideas between young people and adults. Youth Appreciation offers Optimist Clubs the opportunity to make a community impact by holding one or more worthwhile, fun events that involve both adults and children. This is one of Optimist International’s most popular programs, with more than 2,000 clubs participating last year." Helping our new members become a part of the culture of a club is the key to keeping them involved. Take every opportunity to explain what you do and why you do it. That way your new members will feel empowered to participate and your veteran members will be motivated to action too. For all of my friends and acquaintances who are the chefs for their family's turkey dinner this year: U Can't Stuff This. It's just a little bit of fun to go with the serious side of the holiday. Enjoy. The urge to share and help others is always evident during the holiday season. Some might say the act of giving puts us in the right mood. Others might say that the need to give at this time arises from an economic standpoint of helping others so they may help themselves. Whatever the reason, for as long as I can remember, the Boy Scouts have held an Annual Food Drive and this year is no exception. Sponsored by the Optimist Club of Foley, Alabama, Cub Scout Pack 77 of Foley participated in the activity this year called the Boy Scout National Good Turn Food Drive. The young men pictured here gathered nearly 600 pounds of food. Food drives are a way to enlist the help of many. They also raise awareness of challenges that communities and their residents face and allow the participants to learn the spirit of service and the great depth of need. Optimist Clubs and Boy Scouts share the same goal of serving others and meeting those needs. Thanks to Joe Bischoff for sharing the picture. When autumn leaves fall, our hearts reach out for loved ones, family and friends that live both near and far. Perhaps that is the reason that we have so many holidays to celebrate at this time of year. Nat King Cole tells the tale beautifully, and initimably, in the classic Autumn Leaves for Music Sunday at Experience Optimism. The change of seasons reminds us of our own mortality and strengthens our desire to connect with those we hold dear. But at this time of year we also welcome others into our tribe and introduce them to our culture, traditions and beliefs. Friends become our family and family members become our friends. Let me be the first to say may you enjoy the holiday season. Open your heart and home to others, share your gratitude and give what you can, when you can; but most of all, take time to enjoy the most wonderful gifts of friendship and love. I've been watching the projects of the Senoia Optimist Club for about eighteen months now largely because they host a monthly blood drive and get great print coverage for their generosity. When I see them on Twitter, I always retweet. Today, I decided to visit their Facebook page to see what else goes on in their club. I was rewarded with the knowledge that the Senoia Optimist Club is now 26 years old. They celebrated their 25th anniversary in December 2010 and posted some great pictures on Facebook. But the one that attracted my attention pictured the charter officers of the club. During the anniversary event, charter members Hal Sewell and Carl Powell were presented 25-year pins. 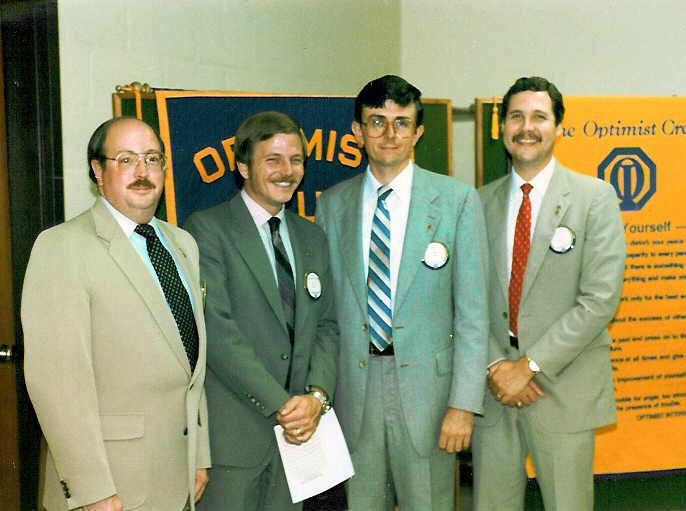 When we look at our Optimist Club rosters, it is not unusual to find a few stalwart members who have been involved for 25 years or more, but it is refreshing to find charter officers and members still engaged after that length of time. In fact, Sewell served as club president in its 25th year. Making headlines after 25 years of service declares that the Senoia Optimist Club is an essential part of the Senoia community. They meet on the first and third Thursdays of each month, 6:00 p.m., at Maguire's Restaurant, 42 Main Street. If you live in the area, stop by and say hi, thank you and I want to join. You'll never regret your decision. Find out more at www.senoiaoptimistclub.org. High school and middle school principles in Fenton, Missouri have identified a need shared by many of their students and have enlisted the help of the local Optimist Club to fulfill that need: With tighter budgets and growing children, it's harder and harder for parents to keep their children dressed appropriately for school. According to Vera Hogan, President, Fenton Area Optimist Club, members of the club will reach out to the community in order to launch the "Threads for Kids" program within the school district. Not only will they provide new and gently used coats in the winter, the program will offer other items such as tennis shoes, socks, t-shirts and jeans for boys and girls in 5-8 grades. The club has also established a fund that school administrators can access privately as special needs or situations arise. "Any and all donations will be greatly appreciated by our club membership and the young recipients of your generosity," Hogan told the Fenton Patch. 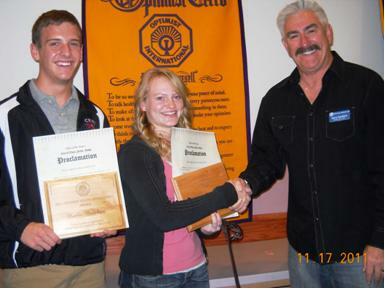 Meeting local needs and helping children are the main focuses of an Optimist Club. 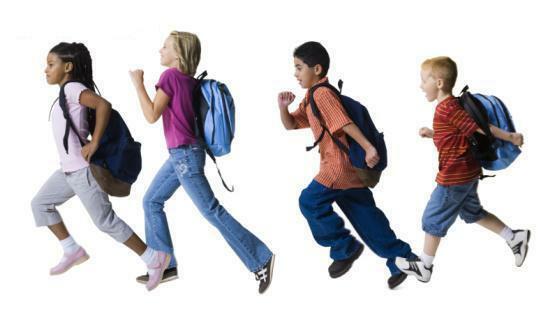 By reaching out and starting the conversation with school administrators, your Optimist Club might find how they can assist more children in a meaningful way and open up the lines of communication to involve even more children in the traditional programs of the organization. Among other things, Optimist Clubs also conduct scholarship contests, youth appreciation events and encourage the respect for law and good citizenship, always with emphasis of hope and optimism. If you would like to open your life to optimism, find out more by visiting an Optimist Club near you. In a feature known as "Good Morning Hartland" in the Hartland Patch, ladies from the Optimist Club of Hartland, MI sent a message to their community to encourage them to help with the holiday gift giving program by adopting a family this Christmas. Technology specialist Hal Sandick (HalTeach) at FPG Elementary School in Chapel Hill, North Carolina has a message to share with you from the students at his school. That message is respect. "I give it to you. You give to me. You gotta treat people respectfully," sing the Fearless Lions. I think you get the picture. Now listen to the rap: Respect Rap. Music Sunday at Experience Optimism is pleased to offer this example of creative teaching that goes above and beyond what the students expect. Setting character education to rap music, and allowing the students to tell the story in their own way and then to share it on YouTube for friends, family and the world to see is what online education should be about. For privacy reasons, the young artists aren't identified, but they know who they are. Good job students. And thank you Mr. Sandick. Veterans were honored throughout the United States and Canada today and thanked for the service they gave our countries. However in a forward looking ceremony, service clubs in Kettering, Ohio came together to honor future leaders in the annual Optimist Youth Appreciation ceremony. The Kettering Noon Optimist Club coordinates the activity and all service clubs are asked to seek nominations from their members through the schools where they provide services. Twenty-four students were recognized and one lucky student won a $1,000 prize. Thanks to WDTNTV channel 2 for being a part of the ceremony and posting the video. Congratulations to the students who were honored and many thanks to the caring adults who made it happen. The Boise Parks and Recreation Department recently entered a contest. Unfortunately they didn't win the contest, but they did produce this video that emphasizes how to "Live a Better Life...in Boise!" You might say that the residents are winners every day thanks to the services and amenities provided by the forward thinking parks department that leverages their relationships with local nonprofits and service clubs to do more. Some of the special projects include a mobile recreation program that takes activities to the children where they live (3:37), community centers established within existing schools (4:06), the Boise Noon Optimist Club Youth Sports Complex (6:08), and athletic programs for special populations (9:23). The City of Boise acknowledges that they couldn't provide this level of service without input from residents and the participation of so many groups, nonprofits and service clubs that make Boise a better place to live. 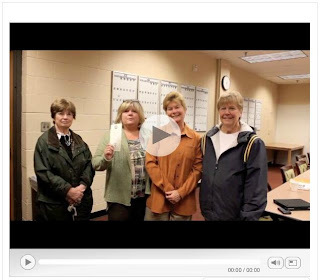 Please watch the video for ideas of ways your service club can partner with your parks and recreation department, district, city or county to provide special opportunities for children and their families and then take action. Approach them and develop a plan and a partnership. If you don't come up with at least one idea for getting involved, you aren't trying. Service clubs improve the quality of life in communities they serve. In Sheboygan, Wisconsin, service club signs are proudly displayed at the entrance to the city, providing both a welcome and acknowledgement of their importance. In an article in TheDaily.com, Sheboygan was described as the most financially equal town. That is, there is less of a gap between rich and poor than in any other US city. According to the article and the nifty infographic , Sheboygan ranks behind only Sweden and Canada in the GINI score. The metropolitan area of 115,507 residents benefit from an industrial base and the median income is right at $49,000. What's more remarkable, and might interest the Occupy Wall Street movement is that the top 20% of the population have a median household income of $120,000. Okay, the infographic didn't mention the 1%, but does it matter with "all things being equal?" Service clubs are especially important to towns the size of Sheboygan. Among other things, they provide social activities where the community gathers for "Fish Frys" and "Brat Days," support local athletics and work together to improve the schools. Mainly, they help people identify with one another. According to Rolf Simonson, "commodore" (the elected official) of the Yacht Club, members can't by their way in. They have to pledge to work at least 50 hours at the club and that spreads equality by allowing people from all walks of life to join. Equality is certainly a positive benefit of belonging to a service club. It makes you a better person and your community place to live. Read the full article about "All Things Being Equal" at thedaily.com. Music Sunday - today is the day I look for happy tunes on the internet and share them with you. Of course, happiness varies for people over time, given their circumstances, desires, needs and goals. Sometimes we settle and according to Dan Gilbert, author of Stumbling on Happiness, that's okay because when we make a decision we learn to be happy with our choice. View his TedTalk here. So what does Dan Gilbert have to do with today's choice for Music Sunday at Experience Optimism? Validation. Silly, but true. Knowing that my choice is a good one just because it matters to me is important. So today, I offer a song that I heard on the radio yesterday that made me happy in the moment; but I'm not going to tell you why, because why it made me happy at that instant would not be the same reason for you. However, I really hope that my choice makes you smile right here, right now. Please enjoy "Fireflies" by Owl City. Just before the end of the Optimist International administrative year, a new Optimist Club was formed at Cerro Coso Community College. Optimist Club members from West Bakersfield, James Minyard and Dr. Tom Thomas, led the charge to introduce the students to the positive feelings that accompany the opportunity for service through optimism. As the students settled into their new club, the school has also joined in their optimism. 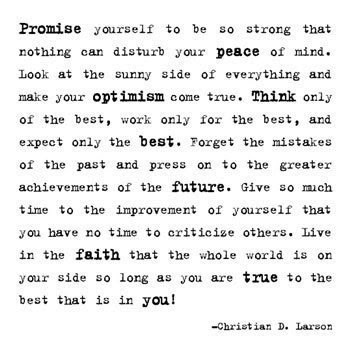 They announced the organization's formation by publishing the Optimist Creed. "How's that for optimism," asks the public information officer Natalie Dorrell. I think it is just right! Thanks and welcome to the new Coyote Optimist Club. Read more at the Cerro Coso Community College website. I don't know if it is a record, but it certainly a lot of people ready to serve their community. In Butler, Missouri, 104 charter members have joined the brand new Butler Optimist Club. On October 30, the new club received their charter from International Vice President Debbie Hill. The group also held their first fundraiser during the event, a silent auction. Find out more about the evening and the new club at Bates County Newswire. We woke up to temperatures in the low 20s today. That means that fall is here and winter can't be too far behind. Warmth is within reach for every child. 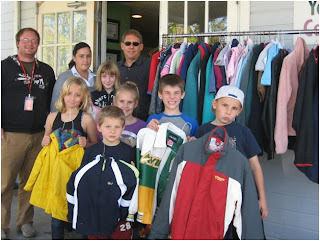 The clubs also accept coats for adults, but not as many are usually on hand. 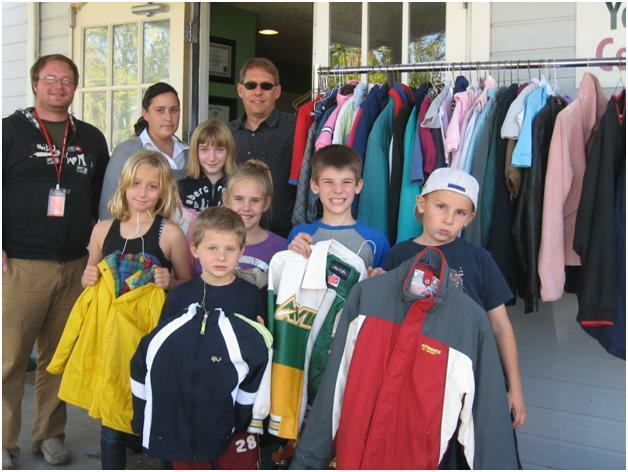 If your Optimist Club has a Coats for Kids program, let us know how to get in touch with the chairperson and we'll add their name and location to the list. Thanks!